Wooden floors are suitable for any room in the home. Ideal in the Kitchen as they are hygienic and easy to keep clean, or in the lounge, dining room, or bedrooms as the surface feels warm and comfortable to walk on even in bare feet. Over the duration of an average mortgage of 25 years, it is likely that you will replace your carpet at least 3 times. However, with a natural hardwood floor over the same time span a single installation will serve you well and beyond for the equivalent price of a single quality carpet. 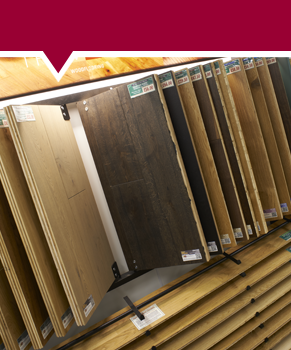 We are specialists in the installation of Hardwood plank, traditional strip and block flooring. We dedicate a major part of the business to complete repair and refurbishment of existing hardwood and softwood floors. These are executed to a very high standard, and include free maintence advise on completion. We offer a complete supply and fitting service, as well as catering for the DIY market and trade customers. We offer an excellent range of good quality products that can be viewed in our showroom, at very competitive prices. Do you want a premium quality hardwood floor? If so, you've come to the right place. It's durable, timeless and elegant.